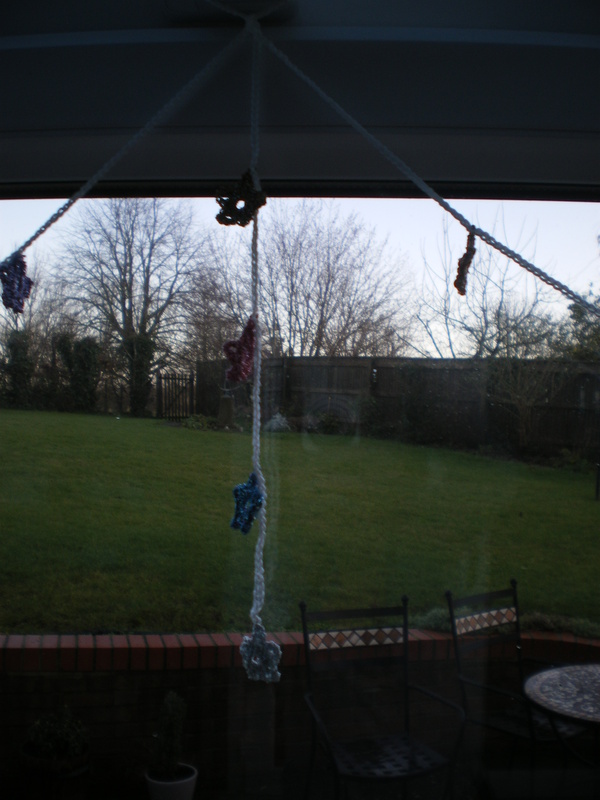 As well as the main garland, I made a chain to hang down at each point where it is caught. 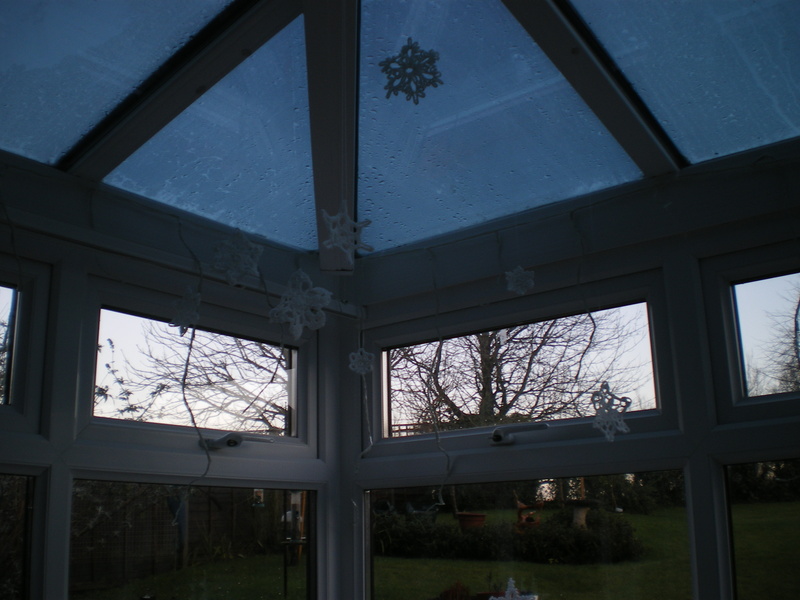 This isn’t quite all the snowflakes I’ve made- there are a few hanging up at the windows, and some of them still need blocking. 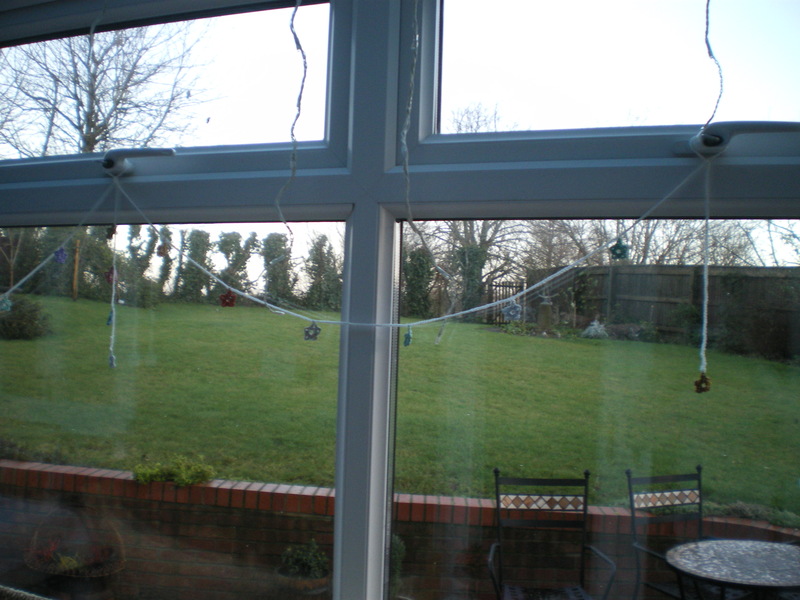 But they look wonderful up there- I hung them up with invisible thread, and they twist gently as the air currents circulate, which is lovely, I think. I have a few crafty resolutions, and I suppose putting them in the first post of the year makes sense! Craft more. This is why I made that plan earlier. I don’t need to follow it, but it means I don’t have the excuse of not being able to decide what to make! Get a decent amount done on Spirit and Pokemon. I don’t want to give myself specific goals, as I have no idea how much time I’ll have and things. But I also want to stop passing them over in preference for smaller projects. so 8 things in total! That’s not bad really. I was expecting a lot more! Set up my etsy shop. All I need to do now (I think) is make stock and then list it all. Fingers crossed this goes well! Here’s wishing you all a wonderful beginning to 2014!